Touchscreens are okay, but controllers are better. What’s better than a controller? 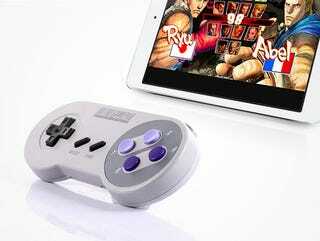 A quality retro one like the SNES30. Playing with this controller is straight nostalgia – only improved. For a limited time, io9 readers can grab one for just $29.95 - nearly 15% off retail price (with free shipping, of course).